Do you want to improve your child’s language and vocabulary? Check out this amazing product, Mrs. Wordsmith. After seeing it on Instagram, I contacted the company to receive a copy for review. As a speech language pathologist, I am passionate about vocabulary growth in children, specifically those with special needs and communication disorders. Learning new vocabulary is the key to improved communication and love of words! What arrived in the mail was above any of my expectations! The product is beautifully illustrated, well organized and eccentric. There is tons of research behind vocabulary growth and academic success which is why I have always read to my children during mealtime and any other opportunity. I have written many articles about this topic which is included in my ebook, Improve Your Child’s Language and Learning in 20 Minutes: Evidence Based Tips for Reading during Mealtime. Are you a teacher? Check out these products that Mrs. Wordsmith created just for teachers here! Do you want to check out more research on expanding vocabulary? 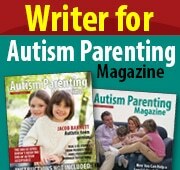 Check out Mrs. Wordsmith Magazine with articles that link their products to vocabulary growth. Look for some data? Check out their data section here. What products are included with Mrs. Wordsmith? Mrs. Wordsmith have a variety of products to choose from. Such products as The Social Journey and The Narrative Journey come with a picture book, word of the day workbook, word cards and a stand. The stand is easy to put together and the products can be used for multiple lessons. I began with the picture book and then followed up with the words cards and activity book. What I love about the activity book is that the pages are double sided with a word map on one side and the picture and definition on the other side. What I LOVE about this product is that Mrs. Wordsmith makes learning vocabulary fun and engaging. I have used this products with my children and have also brought it to work with my own caseload of children with speech and language disabilities. How can this product be modified for children with special needs? This product does not need to be modified because it’s already so visual in it’s presentation. However, for my students that are working on learning specific words on their AAC communication systems, I further modified it with Boardmakeronline. During my speech and language session, I would point to the visual of the word such as “gulp” and “silly” and we would create sentences together on their communication system. The child I worked with loved the pictures and it became a stimulating and language rich session with the use of the Mrs. Wordsmith products.